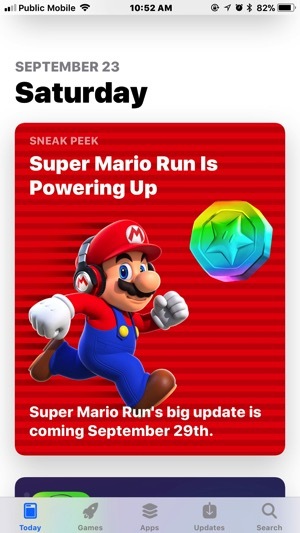 The new App Store in iOS 11 has announced a “sneak peek” at what’s coming for Nintendo’s Super Mario Run for iOS. Remix 10 is a new mode with 10 super-short sections from existing levels in quick succession and has no ‘Game Over’ screen. If you fail one level you just jump to the next level. Daisy is now in Super Mario Run, as you can rescue her in this new mode, which unlocks her as a character to play in other game modes. Her special ability is the double jump. A new level coming is World Star with nine levels, only available if you finish Worlds 1 through 6. Also new is the ability to listen to your own music when you play the game. When this is activated, Mario and his friends will show them wearing headphones in the game. 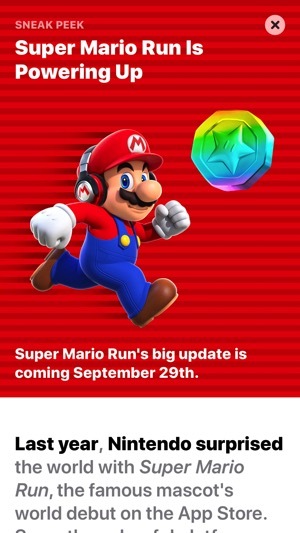 When the update releases this Friday, September 29, Super Mario Run will see its in-app purchase to unlock the full game go on sale for 50% off “for a limited time”. 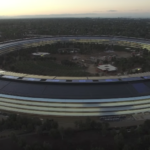 So if you have been holding back for a sale, this is your chance. Earlier this year, Nintendo announced Super Mario Run has brought the company over $50 million in profits since its launch. Are you still playing Super Mario Run, or have you finished the game ages ago?